Today I went to Tech at Tamaki Collage to finish off our drawings from last Thursday. We had to continue on our work so that we can start making our clocks and getting it finished, Here is a photo of my drawings that I have drawn but traced. 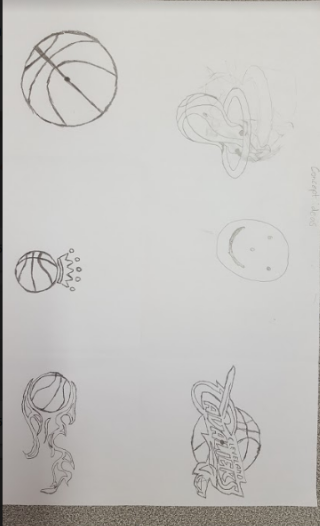 I had drawn my basketball logos and a Basketball flames for my clock drawing. The first one I drawn was two NBA Teams, Miami and Cleveland Cavaliers. Those were my NBA teams that I chose for today. The next one I draw was a basketball, A basketball king and a basketball flame. It was cool drawings but sometimes I might try to improve more quality on my work. What I found out about this is that I had to try and look for photos that suit me and I can draw but either tracing or just copy it by drawing it by myself.